Prue McKeel's life is ordinary. At least until her brother is abducted by a murder of crows and taken to the Impassable Wilderness, a dense, tangled forest on the edge of Portland. No one's ever gone in -- or at least returned to tell of it. So begins an adventure that will take Prue and her friend Curtis deep into the Impassable Wilderness. There they uncover a secret world in the midst of violent upheaval -- a world full of warring creatures, peaceable mystics, and powerful figures with the darkest intentions. And what begins as a rescue mission becomes something much greater as the two friends find themselves entwined in a struggle for the very freedom of this wilderness. A wilderness the locals call Wildwood. 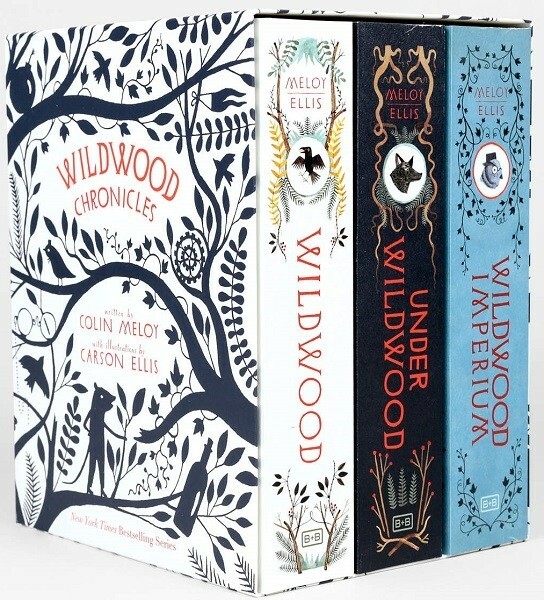 Experience the epic world of Colin Meloy and Carson Ellis's highly acclaimed New York Times bestselling series, in this paperback box set containing Wildwood, Under Wildwood, and Wildwood Imperium. 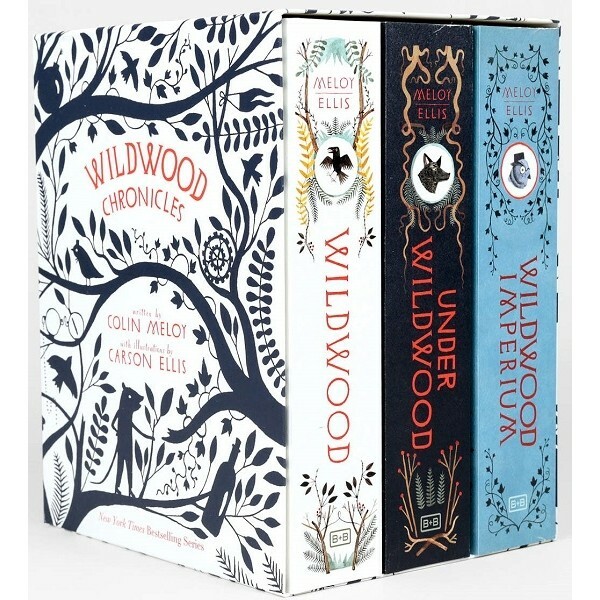 With a stunning package and over eighty illustrations -- including maps and full-color plates -- in each book, this exquisite box set is the perfect gift for Wildwood fans and lovers of epic fantasy.